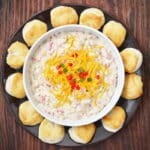 Today I’m excited to share with you my Double Down South Dip. 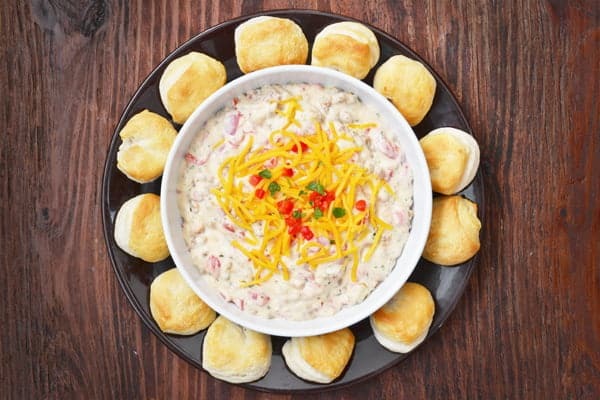 This easy dip recipe will wow you with its southern flare. 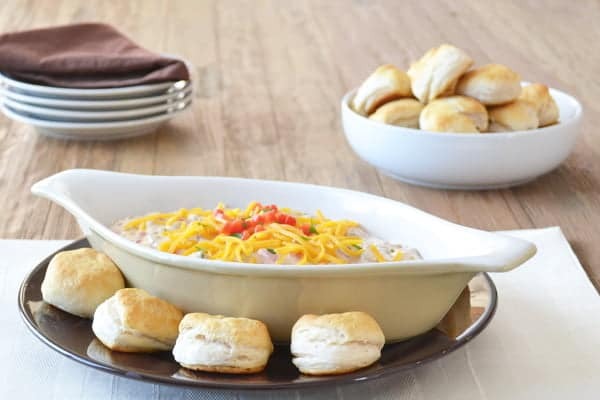 It’s an easy dip recipe that combines the flavors of Sausage Gravy with those of Pimento Cheese. 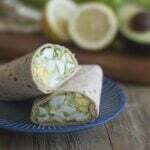 Read on to find out all about my delicious southern dip. I’ll admit that I’m not a huge basketball fan. There’s a big long reason for that. It has to do with my being 6 feet tall and having every person I met when in high school ask if I was on the team. The thing was, despite my height, I sucked at the game. Reason: I can only jump about 1/2 inch off the ground, meaning that people who are 5’6″ end up soaring over me to grab at the ball. So there I was sucking at basketball but being asked about it all the time. You’d think I’d just stay away from the courts. Nope, not me. The coaches would find me and say, “You really need to be on our team” and I’d go try out. And then, even though I was worse than all the girls in my school, I’d make the team. Every single coach thought that s/he could teach the tall girl to jump. And I spent the games on the bench and the practices running up and down the courts. So you see, basketball and I are not great friends. However, basketball-watching-food and me are bosom buddies. Which is why I’m delighted to bring you my Double Down South Dip just in time for March Madness. 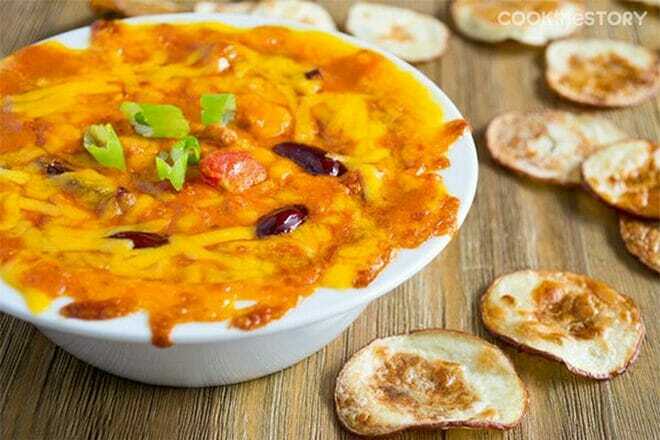 This is an easy dip recipe. And it’s a ridiculously tasty dip recipe too. 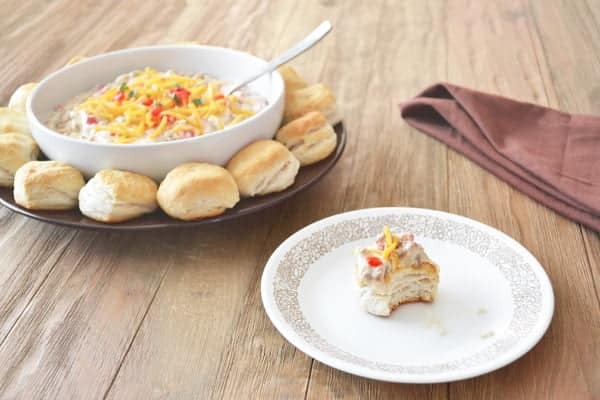 It’s inspired by two of my favorite Southern dishes, Pimento Cheese and Sausage Gravy with Biscuits. So you’ve got crumbled breakfast sausage, cream cheese, roasted peppers, cheddar, a bit of hot sauce for that Down South kick and mini biscuits for dipping. Amazing, right? You have to make this dip. 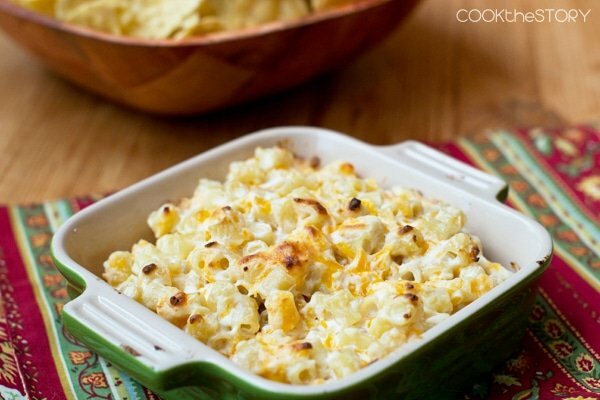 Looking for another easy cheesy dip recipe to try? 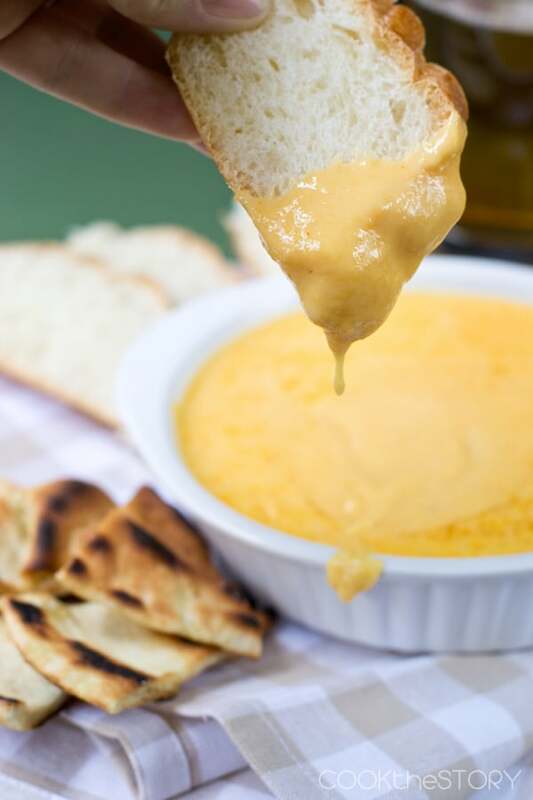 Be sure to also check out this hot beer cheese dip recipe. 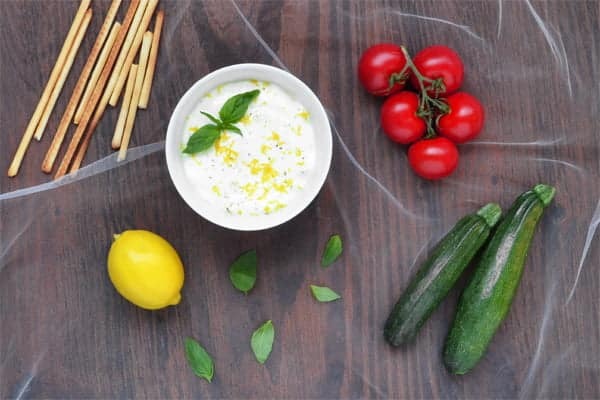 Now it’s time to dig in to this easy dip recipe! two Southern favorites unite in this hearty dip made of crumbled sausage and pimentos (roasted peppers) in cream cheese seasoned to perfection with Lipton Savory Herb with Garlic Dip Mix and a touch of hot sauce. 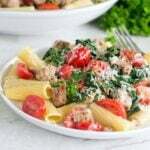 This double dose of creamy, sausagey, cheesy Southern goodness can be eaten anywhere, anytime, with anything. 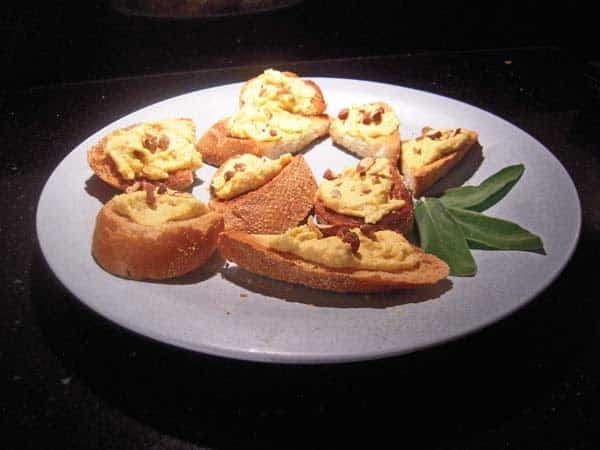 But, it’s best when warm, topped with oodles of cheddar cheese and served with flaky little biscuits as dippers. Melt the butter in a large skillet over medium-low heat. Mix in the sausage crumbles, the Dip Mix and the flour. Slowly stir in the milk. Continue to stir until the mixture bubbles and gets as thick as any good gravy should be, about 4-5 minutes. Reduce the heat to low and add the cream cheese. Stir until its creaminess has melted into the dip. Add 4 drops of hot sauce and all but 1 teaspoon of the pimentos. Stir and then taste. If you like your Southern food to have some kick (and who doesn’t?) add a couple more drops of hot sauce. Use a spatula to scoop every scrumptious drop of dip into a serving bowl. Top with the cheddar cheese, the reserved tablespoon of pimentos and the parsley (if using). Just had to tell you how amazing this dip looks and sounds! 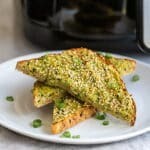 I pinned it right away so I would have the recipe, Thanks so much! I make a sawmill gravy with bacon and sausage. Next time I’ll definitely make enough to go into the dip! That sounds amazing! When you do it, let me know how it turns out! I love a good dip! This is perfect for a friendly gathering! Biscuits and gravy are one of my faves. This dip looks amazing and is such a good idea! Thanks Susi! I appreciate it! thank you for leaving such a nice note on my little spot in the internet!! best wishes as we travel this dip contest together!! I love your southern dip and my hubby would go gaga for it as he’s a southern boy. So glad we did this and found each other. Keep in touch! Me too! Always fun to discover great bloggers out there and friendly competition is fun too. 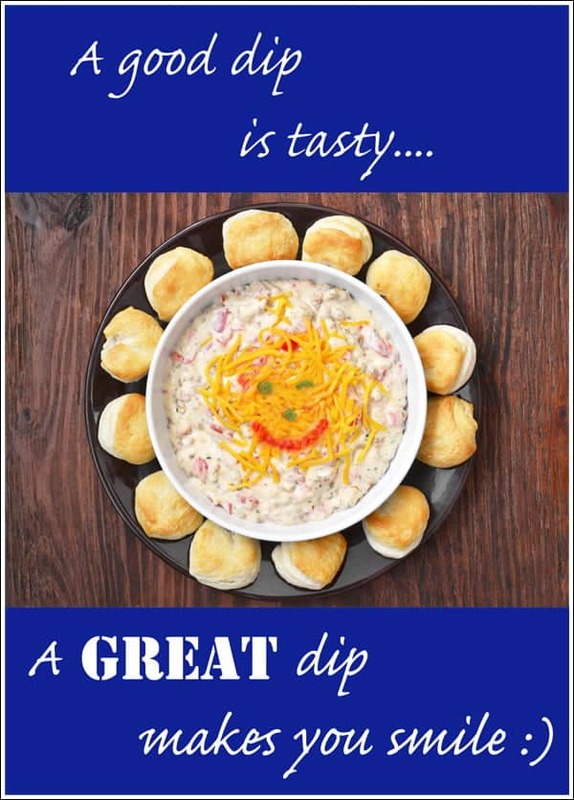 That is one GOOD looking dip…and biscuits as dippers?? I could happily eat this for dinner and not need anything else. Yum!! You know what? I the second time I made the dip, I did the photo shoot and then it was dinner time. We fried some eggs, piled biscuits on our plate and spooned the dip over top. It was marvelous! Thanks for visiting.